The latest report on the firm's bankruptcy scandal reveals how bosses acted recklessly while big creditors, auditors and authorities slept. The latest 100-page joint report by the House of Commons Business, Energy and Industrial Strategy and the Work and Pensions committees on the collapse of Carillion is a damning indictment of crony capitalism dominating the UK. Carillion was an avoidable bankruptcy. In the absence of a central enforcer of company law, Carillion directors treated the company as a private fiefdom, giving themselves massive pay, shares, share options, bonuses, pensions and perks. Shareholders happily went along with it as they got excessive dividends, funded by higher borrowing. Non-executive directors received about £60,000 a year for one day a month’s work and did little to check any of the abuses. The company showed over a billion pound of worthless contracts in its balance sheet and inflated its profits through what its finance director called “aggressive accounting” practices. Auditors KPMG did not notice anything and happily gave the company a clean bill of health, while collecting £29m million in fees, of course. Deloitte ran the internal audit department but Carillion had glaring control problems. Ernst & Young collected mega bucks for restructuring the company which turned out to be a mirage. As for the accounting regulator, the Financial Reporting Council (FRC), it had been aware of the problems at Carillion, but did nothing. The Pensions Regulator (TPR) knew that Carillion was not making the desired payments to the employee pension scheme, but also did little to address the issues. Carillion left a pension liability of around £2.6bn billion. Pension scheme ranks, as unsecured creditors, will receive little from the liquidation of Carillion. A bailout from the Pension Protection Fund (PPF) can only be for a maximum of 90% of the loss. Some 27,000 members of the Carillion pension, many into their retirement age, will now be paid reduced pensions. The PPF faces its largest ever hit. It is the same story for Carillion’s 30,000 suppliers, many of which are small and medium-size businesses. They were owed around £2bn but, as unsecured creditors, will receive little. The parliamentary report shows that the whole edifice of corporate governance is rotten to the core. Executive directors, non-executive directors, auditors, internal auditors, audit committee, executive committee, external advisors, the TPR, the FRC and supposed invigilation by investors, audited accounts and stock markets – all failed. The committees are right to call for major reforms. But we have heard it all before. The damning parliamentary report on the collapse of BHS reported the same state of affairs. The FRC promised investigation of the BHS audits and two years later there is no report. We all remember the 2007-08 banking crash which was going to lead to major change the face of capitalism, corporate governance, director duties, accounting and auditing, amongst other things. Yes, the regulatory deckchairs have been rearranged as the Financial Services Authority (FSA) was replaced by the Financial Conduct Authority (FCA), but there is little meaningful change and all the predatory practices. These problems were again highlighted by the Carillion collapse. 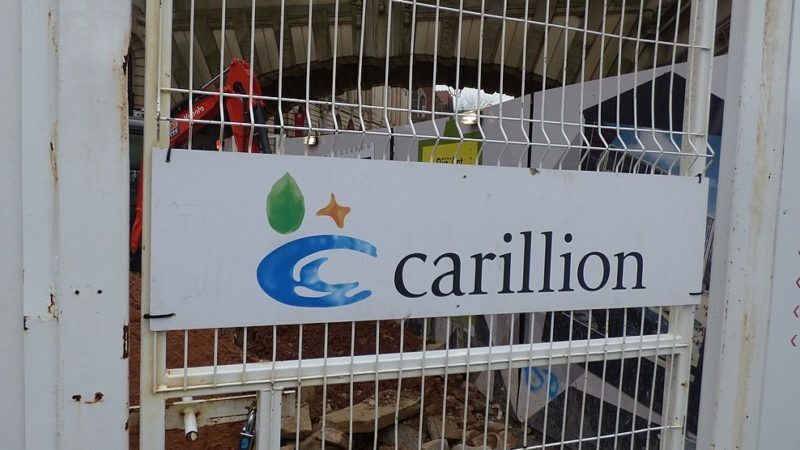 The report says that the government has “lacked the decisiveness or bravery” to address the failures in corporate regulation that allowed Carillion to become a “giant and unsustainable corporate time bomb”. There lies the biggest problem: our political system, which is responsible for creating toothless and ineffective regulators. Corporations and wealthy elites fund the political parties, give jobs to former and potential ministers, and get the laws that serve their interests. A few crumbs are occasionally thrown to the rest of us. Plenty of politicians are filling the airwaves talking about the plight of pension scheme members and supply chain creditors, who as unsecured creditors will receive little from the Carillion liquidation. Yet they are the architects of this dire state of affairs. There is no immutable law which says that pension schemes have to be unsecured creditors, or that secured creditors (lenders) must walk away with most of the proceeds from the liquidation. From a social perspective, we all know that as we get older our capacity to rebuild the pension pot is diminished. The loss of pension rights means poverty in retirement or reliance on social security benefits. In sharp contrast, banks hold diversified portfolios to manage risks and can absorb losses. So a social perspective would suggest that pension schemes should be priority creditors rather than unsecured creditors i.e. they should be paid first. Supply chain creditors are innocent bystanders. These include many small and medium-size enterprises (SMEs) who are unable to impose covenants on big customers. Due to their age and size, SMEs do not have a diversified business base. The loss of a major customer like Carillion plays havoc with their cash flows and survival. Many SMEs become insolvent because of the knock-on effect of a major customer like Carillion. These considerations demand that a substantial portion of the proceeds of liquidation of a company, such as Carillion, should be set aside for unsecured creditors. This would help to cushion the blow for them and also ensure that there is a more equitable sharing of the losses arising from liquidations. But legislators will not make radical reforms and seem only too content to introduce laws from the prism of banks and wealthy elites. Pressure needs to be mounted on the political system for meaningful reform corporate governance. Otherwise, it’s only a matter of time until we see another Carillion.